One of my favorite books, or series of books, is The Lord of the Rings. In the books, the main character, a hobbit named Frodo Baggins, wonders why in the world his Uncle Bilbo didn’t kill the hideous and treacherous Gollum when he had the chance. This creature was a shadow of its former self, something to be abhorred and disgusted by…something EVIL. Frodo, just can’t understand what could possibly have caused his uncle to let this creature remain alive. In his prequel to The Lord of the Rings, entitled “The Hobbit”, J.R.R. Tolkien tells the tale of Frodo’s Uncle Bilbo Baggins’ adventure that leads him to Gollum’s lair and beyond. 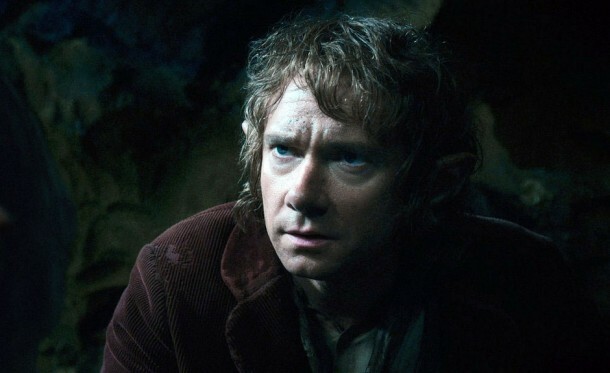 Having fallen into the cave that Gollum lives in, Bilbo finds himself in a game of wits. If Bilbo can outsmart Gollum, then the creature must show him the way out of the cave; however, if Gollum can outsmart Bilbo, then the creature gets to have him for lunch…literally! Needless to say, Bilbo outsmarts Gollum and, having stolen Gollum’s magical ring (anyone who knows the story knows what that ring is), Bilbo wears it and is able to turn invisible and escape the enraged. Gollum searches everywhere for the Hobbit, unaware that Bilbo is following him, and the creature leads him right to the exit of the cave. At that point, Bilbo has a chance to kill this nasty, treacherous creature. In fact, he almost does; yet, with his sword lifted high and ready to strike, Bilbo looks into Gollum’s eyes. In those eyes, he doesn’t see treachery nor does he see EVIL; rather, he sees desperation, he sees fear, he sees hopelessness. While at first, Bilbo was ready to sever Gollum’s head from its body, he could no longer carry that action through. For whatever reason, deep in his heart, Bilbo felt sorry for Gollum and showed him mercy. “It’s a pity Bilbo didn’t kill [Gollum] when he had the chance,” Frodo lamented. And so the words of the wise wizard, Gandalf, echoes from the pages of a novel into our ears. We often judge so quickly, laying down judgment as if it is ours to lay down. It is true that many that live deserve death and that some that die deserve life, but can we give it to them? Are we the ones who hold the keys to life and death? Are we the ones, who are ourselves as flawed and imperfect as the next person, who should be passing judgment on others? Jesus has called us to a higher standard than judgment. Where the world judges, God calls us to forgive. Where the world enforces revenge, retribution and punitive justice, God calls us to show compassion and mercy. God calls us toward distributive and restorative justice. The challenge today is for us to begin to lay down our judgment at the foot of the cross and to pick up Micah 6:8 as our daily meditation. Then we will know what it means to be bearers of the Good News that God comes through Christ in order to SAVE, not to destroy. Those who judge lay judgment upon themselves. Lord, help me to remain judgment free. I trust that you are working in all people, including me, and I leave judgment in your hands. Amen.